Border Collie Book: eBook covering Border Collie Dog Training, History, Health and Owner's Guide for all Border Collie Owners. Do you own a Border Collie and find yourself baffled by your dog's behaviour sometimes? Do you get up DREADING the morning walk with your dog? Does your dog have selective hearing, choosing what he wants to hear and when to hear it?! Have you ever wondered why all the normal dog training methods just WILL NOT WORK with your Border Collie? If so, your problems are now ancient history and you can smile at the prospect of a COMPLETELY obedient, and truly happy Border Collie by your side. ...this book has helped me understand my own failures in training and general understanding of my Border Collie. I now see several mistakes I was making as a Collie owner and I have seen vast improvements in my dog's behaviour since learning some valuable lessons from this ebook and putting them into practice with my dog. Thank you for a very rewarding read, keep up the good work!" The K9Obedience team have a wealth of knowledge in this fantastic breed of dog, and this was gained through hands-on training and canine behaviour consultations with literally hundreds of Border Collies and their owners in all subjects ranging from general obedience to advanced heelwork, from nervous aggression to chasing cyclists round the local park! In this Brand New Border Collie Ebook, we begin by first covering the extremely important history of the Border Collie, how the breed came about and why, including some of the very first famous ‘Borders’ whose breed lines are still present in nearly all Border Collies alive today. This historical foundation will give you a useful knowledge of the background to the breed which is an essential part in helping you understand your Collie’s behaviour which will instantly empower you to finally take full control over every aspect of your Collie from his advanced obedience potential to his special dietary requirements and very specific exercise needs. The Guide then explains in great detail how the Border Collie became one of the most essential and respected breeds mankind has ever known, from its early days regarded by many as a scavenging tyrant, through to becoming a cherished breed which literally transformed the entire economy of the United Kingdom in literally just a few decades! This book will simply amaze you with little known facts and features about the breed, helping you to understand just how immensely talented your Border Collie really is, and how you can take full advantage of this yourself. The K9Obedience Guide to the Border Collie is beautifully illustrated with many stunning photographs of the breed, from both historic and modern times. It also goes to great lengths to reveal the mental characteristics of the breed, covering how and why these dogs learn so incredibly fast, and why some Border Collies have been capable of learning over 200 different verbal commands! The Border Collie is quite simply a remarkable breed of dog, and this newly launched ebook will quickly enable you to take advantage of your dog's talents and make them work FOR YOU, rather than against you which always happens when this seemingly complex working dog is not fully understood or handled correctly. What the term ‘Giving Eye’ is all about! How the Border Collie got its name! Who bred the most successful and obedient Border Collie ever! How they prevent plane crashes at many international airports! Most crucial of all...How to have a truly happy, calm and faithful Border Collie which you will be proud to own! Our fascinating Ebook will take you from owner to expert on this breed through the colourful forty-seven pages of revealing and experienced writing. 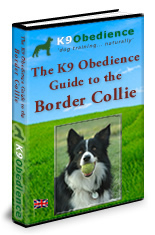 It was written with one simple intention in mind, to improve the lives of many Border Collies whose instincts and behaviours are so often misunderstood by their owners. By reading this detailed breed guide you will discover every important thing there is to know about the Border Collie and this will quickly benefit your dog and the relationship between both of you will grow and flourish with mutual understanding for each others needs and expectations. This is now available in beautiful, full-colour, digital Ebook format, which means you can download it and be reading this within just a few minutes from now! The Ebook is currently being offered at a heavily discounted price to celebrate the launch of our new website. You will NOT find any other Border Collie Ebooks on the web which are packed with so many useful secrets and information to totally transform your Human-Collie relationship.